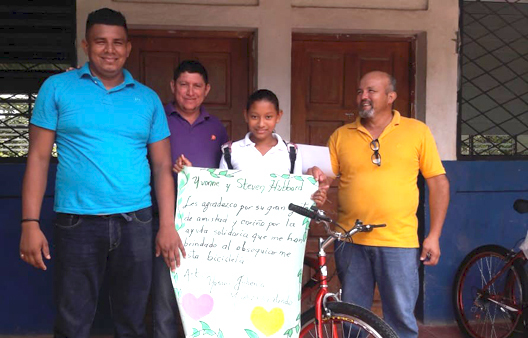 In July, after much back and forth email coordination between Maui and Nicaragua, 12 bikes were bought in Chinandega and delivered to the school at La Carreta where head teacher Luvy coordinated with the receiving students and their parents. Each brought a “letrero,” or big sign, thanking in their own words the donor, and a picture was taken to send to those folks. 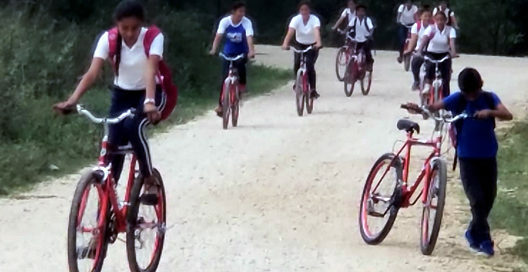 Each student and a parent signed their contract promising good attendance and good effort to keep up their grades, and each one happily tried out their new bike, which came with 2 extra tires and a tire repair kit. 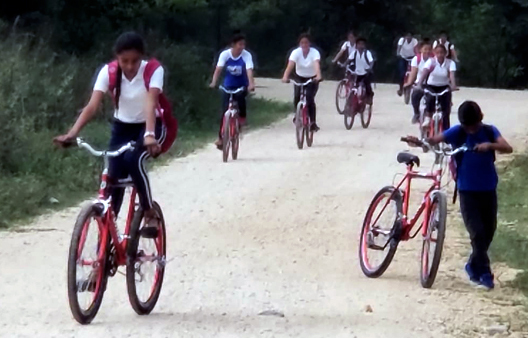 We provide bikes to each year’s incoming students who have a commute to school that would take 2 hours or more to walk. No school bus is available to these rural kids, and many live a long way from school over rough, pot-holed dirt roads. This program aims to give students the incentive to remain in school until graduation, thus preparing them for work or further education and contribution to their community, and hopefully keeping them from emigrating. All bikes are bought in the Department of Chinandega and cost roughly $100 USD. Donors for more bikes are constantly sought and much appreciated! Contact Somos Ohana Nicaragua if you would like to help!